In this video tutorial we will show you how to make Photoshop pencil effect. 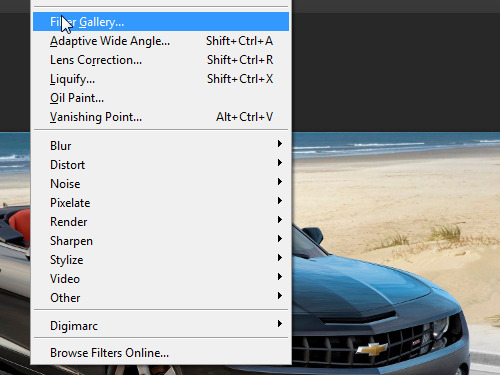 When the Photoshop is running and the image is opened, Go to the “Filter” menu and select “Filter Gallery”. 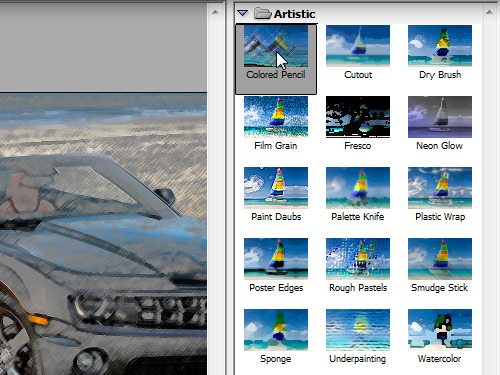 In the appeared window choose the “Artistic” group and select the “Colored Pencil” effect. Then change the effect settings using the sliders if you wish to adjust pencil width, stroke pressure, and paper brightness. After you have set the effect settings, press “OK”. The Photoshop pencil effect has been successfully applied.